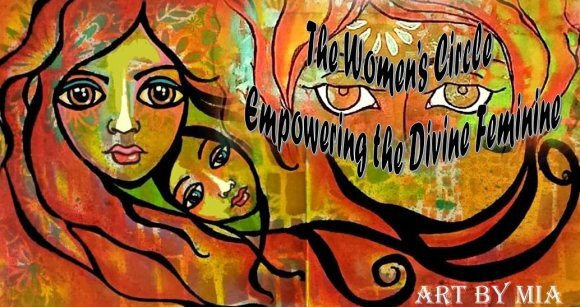 "The Women's Circle, Empowering the Divine Feminine" is the New Girls Night Out!!! Uniting and Empowering one another. These Goddess gatherings will involve ritual, sharing, bonding, empowering, self love, and learning, all in a safe judgement free zone. Join us for special Divine Feminine theme nights and ceremony which is a beautiful way to pause, reflect, de-stress, relax, and set personal intentions for the Mind, Body and Spirit. Utilize the gifts of Mother Earth, Spirit and Divine Feminine Energy to balance, charge, and get grounded. It is a place where we discover and integrate new blueprints that serve the women we are becoming. As each woman claims her space in the circle, we come together as equals united by our common purpose. Join us in a sacred space of trust and safety. Together we will experience the Healing Power of Ritual, Sound & Vibration that will help relax, connect with our Divine Bodies, Souls, Hearts, Strength and Spirits. Using Shaman Drums and Rattles we will release, journey, meditate, cleanse, dream, share, bond and make space for Divine Abundance. As we drum we will play with call backs, song, sound and vibration. Honor the Divine Feminine through ritual, connect with the feminine wisdom, empower the Goddess within and pay homage to our mothers and grandmothers. Many things will take place from cleansings, greetings, sharing, calling, and honoring. Bring a rattle or drum (you may borrow one if you don't have), water to drink, shawl/ scarf, warm socks (shoe-less space) you are welcome to bring objects that are connected to your spiritual power or sacred amulet to set upon the circles altar which you will take back with you at the end. Wear comfortable clothing. Making Magic and Healing from the Heart. Mia Roman a self-taught fourth generation artist with a degree in business and a passion for Art and healing has become an internationally recognized visual and Mixed Media Artist, Curator, Expressive Arts Workshop Facilitator, Energy healer, Educator and Entrepreneur whose visual works have been exhibited and are part of private collections internationally and throughout the United States.